Kyoto Marui is one of the most important commercial facilities in Kyoto. Kyoto Marui is accessible directly from Hankyu Kawaramachi Station, and many tourists start their Kyoto journey from here; either to Gion or to the Kyoto Imperial Palace, so I’m sure you’ll have a chance to also visit Kyoto Marui. Kyoto Marui, which is a landmark in the Kawaramachi area, opened anew after renovations in May 2017, and now it’s more welcoming to foreign tourists than ever. What changed the most in the renovation were the basement, first, second, and third floors. On the first floor, you can find all kinds of food items and Kyoto’s specialty snacks you wouldn’t normally find in such a central location in Kyoto. Note the wood used on the benches and signboards; they’re Kitayama Maruta, a Japanese cedar with a very Japanese feel to it. On the second and third floors, you get to buy even trendier and colorful clothes and accessories than before. 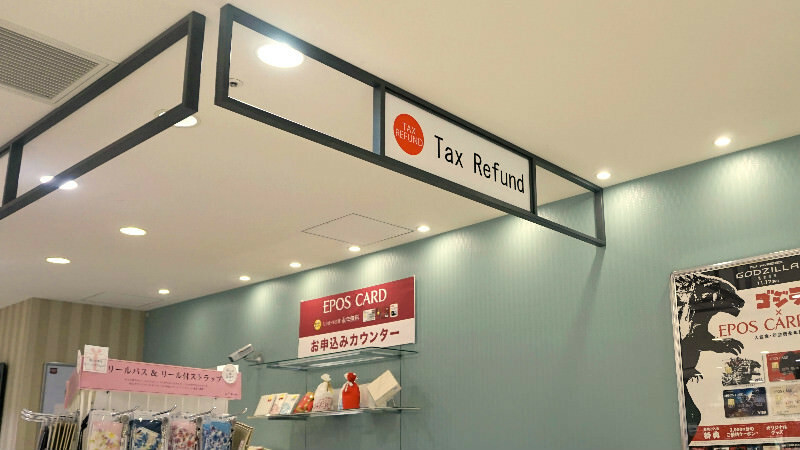 Tax-free counters are on the first, second, and sixth floor and you can also find the home electronics store specializing in tax-free items, LAOX, in Kyoto Marui, not to mention the new restaurant floor. Kyoto Marui is a very convenient commercial facility because you can drop by anytime: want some snacks? The first floor it is! Want to do some shopping? Second floor and up! Want to take a coffee break? Then go to one of the many cafes you can find in Marui Kyoto! The first floor is based on the concept of “Many delicious things to choose from” and you can see this right away. You have great snacks and sweets from around Kyoto and also from the Uji and Kitayama areas, many of them loved by the locals. They have an area where you can eat the snacks too, so it’s very convenient. The theme of the third floor is “Great for me! My favorite clothes and accessories!” In accordance with this theme, on this floor, you can find a good selection of Marui’s private brand clothes and shoes, of many sizes. The theme of the second floor is “Great, convenient, and fun! Accessories and cafes that make your mundane life a bit more special!” Marui is sometimes considered to be a department store for women, but actually, you can find all kinds of accessories for men here too, so Marui is a place that can be enjoyed by both women and men. One of the things most improved in the renovation of Marui are the benches and other recreational spaces. Some of the benches are made from Japanese cedar known as Kitayama Maruta, and you can eat the food you have bought right away here. This spot is recommended for having Kyoto-like sweets in a Japanese atmosphere. You can find the tax refund counters on the first, second, and sixth floors. Besides handling tax refunds, you can also ask for some help here if you can’t find what you’re looking for. There is free Wi-Fi available at Marui. If you you don’t know how to use it, ask for help at the information counter on the first floor. At the department store Marui, they sell all kinds of products, but my favorite area is the women’s shoe section on the third floor. They have both small and big sizes, which is great for me! The food section of the first floor is so fun I always take my Taiwanese friends there when they come to visit me in Kyoto! Marui is a department store in Kyoto with a nice selection of snacks on the first floor. So if you want to try all kinds of Kyoto snacks in a clean department store setting, you should consider giving Marui a chance! They also have bigger sized clothing lines too, so if you find Japanese clothes to be on the skinny side, you could drop by Marui and see their selection too.